Is there anything more disappointing than a long awaited sequel? I’m not talking months or years; I’m talking decades between movies. You’ve had enough time for the original film to become a classic, and expectations for the sequel are consequently so elevated to be downright impossible to meet. Even if the belated sequel is a financial and critical success, fans of the original will inevitably compare the two, and nostalgia for the original will ultimately blind them to whatever positive qualities the new film might have. It’s happening more and more often these days, as Hollywood insists on resurrecting franchises. There’s Terminator and Terminator Genisys, Tron and Tron Legacy, and of course Star Wars and the current Disney trilogy. Even though I found much to like and even love about Bladerunner 2049, I couldn’t help but compare it unfavourably to the original. Which all brings us to Trainspotting; perhaps the most iconic, generation defining British film of the 1990s. How the hell could any sequel live up to that high bar? Mark Renton returns to Edinburgh after 20 years, which is probably not a good idea given that the last time he saw his friends, it was just before he walked out on them with all of their money. He’s had a decent life in Amsterdam thanks to that, but those left behind haven’t. 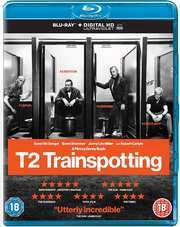 Spud’s still a junkie, Sick Boy makes a living from blackmail, and Begbie’s personality keeps getting in the way of a parole. Now that Renton’s back, Sick Boy has a plan to make some money with his old friend, and get some payback as well. And now that Begbie’s escaped from prison, this isn’t going to be a happy reunion. 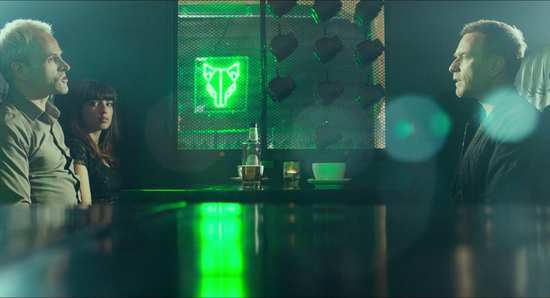 The film gets a 1.85:1 widescreen 1080p transfer, and in terms of audio, you have DTS-HD MA 5.1 Surround English, Italian, and Japanese along with DD 5.1 Thai and English audio descriptive, with subtitles in these languages, Cantonese, simplified Chinese, Korean and Spanish. A recent film gets another top-notch transfer, clear and sharp with excellent detail and rich, vibrant colours. There might be a smidge of banding during the end credits, but that’s about the only nit to pick. The audio too is robust, an excellent surround track, and once more the music is a selling point for the film. You’ll be downloading the soundtrack in no time. 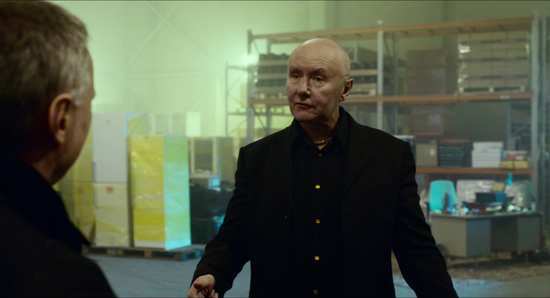 Incidentally, the scenes from the original film stand up well in this transfer, which once again surely begs the question why the aged Blu-ray of Trainspotting hasn’t been revisited with a re-master or 4k scan. You get one disc in an Amaray case with an o-card slipcover. It’s a bit of a slow boot to the static menu screen, but it is one of those discs that hold position in player memory once ejected. It also comes with a UV code, pointless now that the service is shutting down. On the disc the extras are limited but useful, beginning with an audio commentary from director Danny Boyle and writer John Hodge. 20 Years in the Making: A Conversation with Danny Boyle and the Cast sees the director, Jonny Lee Miller, Ewan McGregor and Robert Carlyle sat for a chat for 24:49. Calton Athletic Documentary: Choosing Endorphins over Addiction lasts 4:25. Finally the Deleted Scenes run to 30:11, and there are 29 in total. 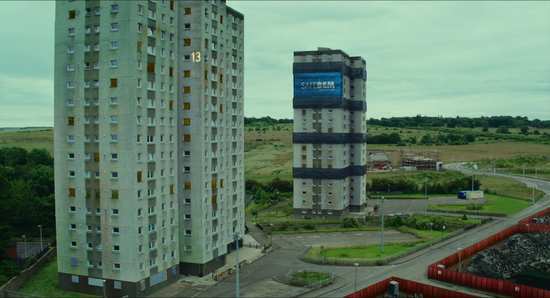 I wasn’t expecting much from T2 Trainspotting, except a whole lot of nostalgia and a wistful look back to how things used to be, when the world was a brighter Britpoppy place. 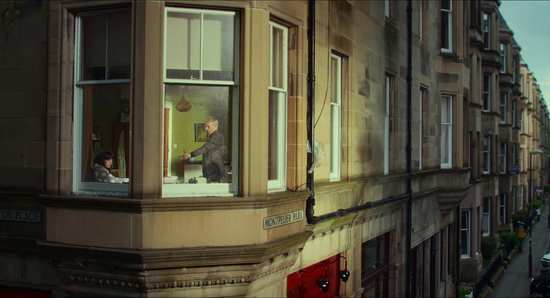 T2 Trainspotting’s masterstroke is that not only does it indulge that nostalgia; it recognises that fans will be coming to the film with that intent, so it owns it as well, makes the nostalgia and the history of the characters the heart of the film. Indeed its plot is built around the original film; there are plenty of flashbacks and the characters in the film are looking back as much as the audience. What’s special is that this film recognises the bittersweet taste of nostalgia, comes down more on the side of the pain and loss, rather than the rose tinted spectacles that we usually don. The tagline of the film is “First there was an opportunity... then there was a betrayal” and that sums up the film’s ethos perfectly. The natural assumption is that the story leads on directly from the original, after their successful drugs sale, and the moment when Renton walks out on the others with all of the money. But it’s a general sense of betrayal as well, the betrayal that comes with middle age. 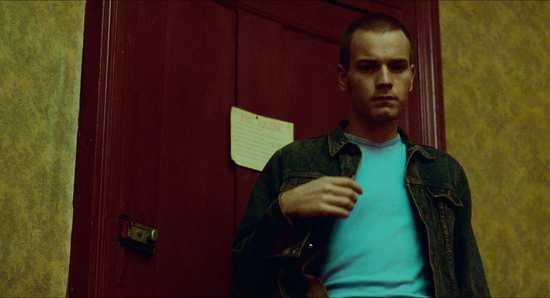 Back in the nineties, these characters, and indeed the audience for Trainspotting would have been in their twenties, feeling immortal, protagonists in the novels and the movies of their lives, with all the possibilities of the future open to them, to us. T2 Trainspotting finds them in their forties, after the realities of life have started to grind them down, where the best anyone can really hope for is a stable family, a secure job, and a mortgage, and those Oasis, Pulp and Blur songs are just pleasant ditties to look forward to on Radio 2 on the way to work, rather than insightful commentary on our lives. That’s the best; and certainly these characters don’t have it so fortunate. Even Renton, who has had the best start to his adult life, has found reason enough to return to Edinburgh and face the friends that he betrayed. They’ve all screwed up their lives to varying degrees. Begbie’s in prison, getting angrier by the second, Spud somehow managed to have a family, but lost them by staying on the drugs, and Sick Boy’s cynically holding onto his twenties, still chasing get rich quick schemes. Seeing Renton’s return offers him the chance to make some money and get some measure of revenge. Just like the first film, it boils down to another get-rich-quick scheme. The difference is in the tone. 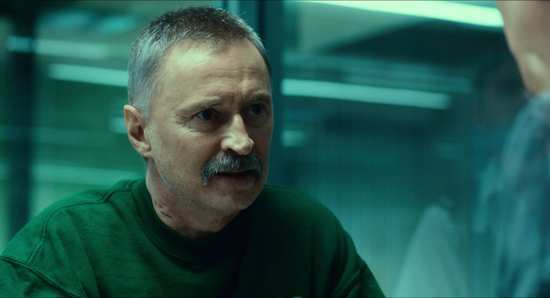 Sure, T2 Trainspotting has the same effervescent dialogue, the same desire to shock an audience out of its complacency, the same rich, dark vein of comedy, and Begbie is still the scariest villain I have seen in cinema. But where the first film mixed in optimism with its nihilistic energy, this film is all about the anger, the betrayal, the loss of hope. 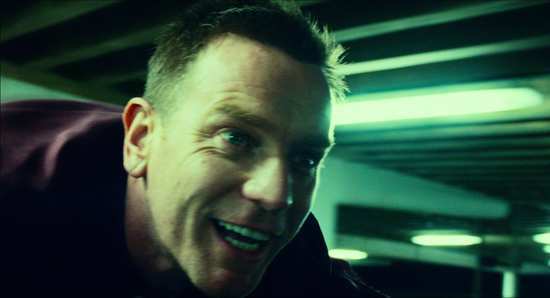 This film revisits the ‘Choose life’ speech, but where in the first film it was a moment of satire, a wink to the audience, a rebel yell of drug fuelled independence, here it is a bitter, angry, lament of regrets and missed opportunities, railing at a world that betrays adolescent optimism with the cold brutal reality of life and lost time. 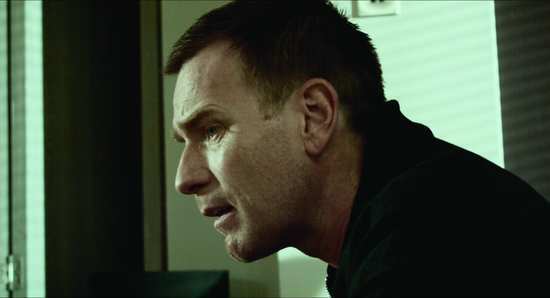 T2 Trainspotting turns out just as good a film as the original, and it does so by fulfilling audience expectations and subverting them at the same time. The two films complement each other perfectly, and this is one long awaited sequel that doesn’t disappoint.